Hiii everyone present here……..i am here with a raglak os………..i hope ragsan fans will not get miffed ………. 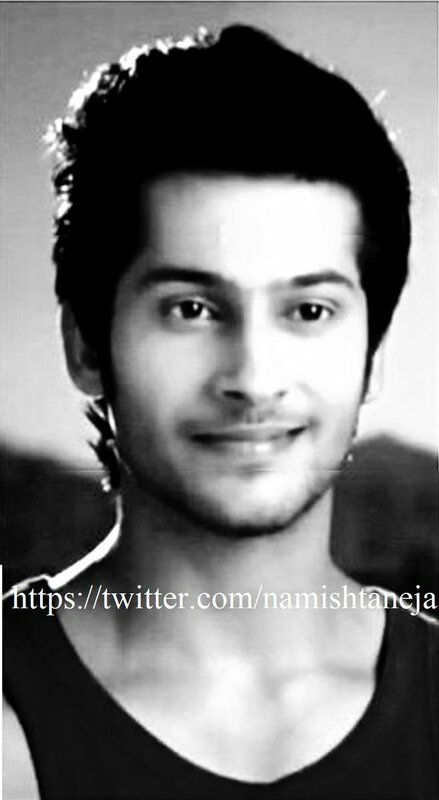 And….this os is spaecialy dedicated to my friend anju24………….she kept my every request in her ff…………….although she didn’t asked me………….but I m writing this raglak os specialy for you……….i hope you and others will also like it………. 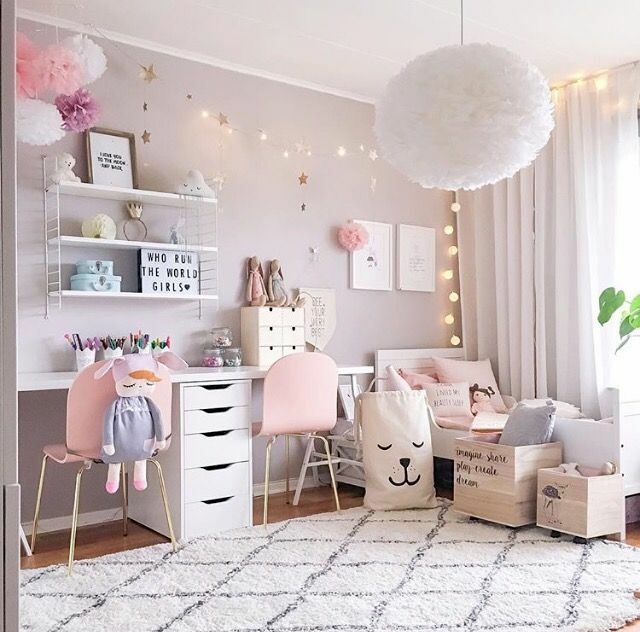 A room is shown…..where a girl is sleeping covered in blanket…………her bed and room is full with teddy bears…….looks like she is fond of teddy bears………..
Girl’s best friend swara comes to her and calls her ragini………..so the girls is ragini gadodia….in her mid twenties…. Ragini wakes up with a jerk………….her cute face is shown………..
Ragini stands up and starts dancing……..then holds swara’s hand and starts couple dance……..
Swara- 0hk ohk…….rags……….if you want to meet her………then get ready fast……. Ragini smiles………..and goes to freshen up..
She comes out wearing a beautiful floral suit…………….she looks damn beautiful…..
Down…swara and ragini’s parents are waiting for her………….she comes happily down…….and sits to have breakfast……..
After that ragini and swara leaves………. Her heart beat starts rising……..
She knows he is her laksh…………..only ragini’s laksh…. Ragini shyly…….slowly slowly steps towards him…….he was still facing otherside……….. The boys turns to face her……..and is revealed to be laksh…..
Laksh came back from London ……he went to London for higher studies…. As soon as laksh turns………..ragini hugs him………. Ragini breaks the hugs………and looks at him…….with full of love….but laksh shows no emotion…. Saying this……..she twirls around happily……….laksh looks on………..
Ragini stops and looks at him confunsed……. Laksh- ragini it was 4 year back………….we were teenagers that time………it was all a attraction……and we misunderstood it as love…..we cant live together ragini………I think you should understand and move on…. Ragini gets shocked listening to him……….and gets teary eyes……..
She recalls back their moments 4 years back…. Laksh was in in his 12 th class……he lives in delhi with her brother shaurya and his wife mehak and mother…. It was almost end of season……..after that shaurya had arranged to send laksh to London for higher studies……. Laksh was a boy who enjoys his life a lot…………according to him….we should enjoy every moment of our life………..and he seriously believes in love………he is waiting for the girl………who will come to his life……….and make him complete……….. He without changing his clothes…. he stepped out to balcony to enjoy the cool breeze with rain…..
Laksh just looking at the interesting view in rain…..which makes him tempted and desperate…… His heart pricked to see her face but couldn’t as the umbrella covered it……. Thunder lights also giving more shining on her pale creamy skin…..
After two minutes he is much desperate to see her face. ….She is dancing and enjoying the rain but didn’t loosened the umbrella….. He wished for a heavy wind which can take her umbrella with its speed…. But it didn’t happen anyway. …. He wishes he could joined her. 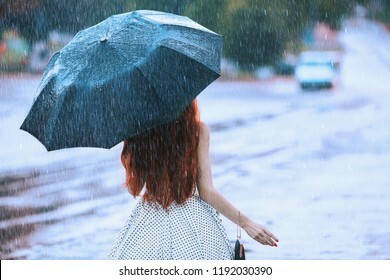 But couldn’t…..
ragini slowly dropped her umbrella as rain is not much pouring…… He got excited to catch her face but her back is facing him….. Keeping her umbrella to the wall she loosened her pony tail and shakes her head to spread it around… She twirled around again and again few times. Finally he catches her sight for which he was desperately waiting since an hour…..
His heart skipped a beat seeing her beauty…… Few rain drops on her face and on her lips makes her more beautiful…. When a cool breeze hit her face she shivered……. Ragini looks at his direction….But before she could see him he hides from her sight…..
Mehak informed him that ragini and her family came today itself they shifted from pune to delhi……due to her father’s transfer…. Saying this he goes for sleep…..
Next morning laksh woke up a bit late with a huge smile…….. As he got much information about his girl past night……from his mehak babhi………. Because of the rain earlier evening ragini also woke up late…. Opening the door she got a flower bouquet on her door step…. It was delivered on her name with a message “Good morning beautiful.”… ragini liked the bouquet but wonder who could it be…. Swara came to ragini’s home…….laksh silently leaves from there…..
On the way a little… girl gave dairy milk chocolate with a Red rose to ragini…. laksh is passing by her and seeing her smile after reading the note …. After her class ragini and Swara went to a mall…..
laksh follows her there too……. but make sure he goes unnoticed by her.. …There ragini choosing some dresses for her. But didn’t finalize any…..
Assistant- mam this is for you…….. One young boy gave me and left without saying much more than gives it to you…. ragini asked the man who is he, in which direction he gone, etc etc.., but they went in vain…. After reaching home…..ragini tries the dress…….and sees it looks beautiful on her……..she see a note…..
Ragini is so much curious now to know who is this secret person watching her every move..
Swara replies- rags who so ever it is……he has nice choice…you should surely thanks you secret admirer…. She is restless due to this stranger and his admiring nature …. After thinking so much..she finally sleeps…. Other side laksh also thinks about her…. Ragini was being alerted as she knew she was under someone’s watch since three days…. She was looking damn particular at everything to catch the secret person…..ragini caught laksh 2-3 times gazing at her but kept quiet as she was not sure…. She took the Teddy bear and liked that very much. She kissed it very lovingly….. She asked that girl for her note as thinking that little girl may be forgot to give her….. But no….there was no note this time…she felt bad…. she goes back to home….and sits on bed…with teddy..
Next morning As usual she received a flower on her way….. She smiled and saw the surroundings no-one is there… Even swara didn’t came today…. From the corner laksh watches her….. Seeing all this laksh hurried towards ragini to rescue her. Taking her on his lap…. He cries seeing her unconscious……..he rubs her palm…to bring back her conscious….. Slowly ragini opens her eyes…. 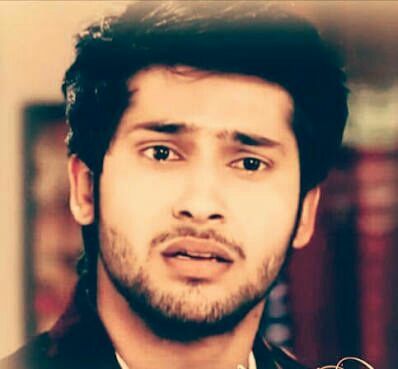 Laksh- “ragini are you okay? She kissed him on cheek……….laksh was shocked…. Day by day their love blossoms…. But soon……laksh had to leave for London for higher studies…..
Mehak knew everything about laksh and ragini’s relationship…………but laksh being little afraid of his brother…….asked mehak to not to tell him anything……. Laksh and ragini decides…….to wait for each other……….and then when laksh will come back……….they will tell to their families……. Ragini sees the hall area fully decorated……beautifully with ballons……robbons……flowers……her pictures…. She sees swara………mehak and shaurya…..with karuna maa………and too her shock her parents shekar and sharmishtha……..all were present there………..
Laksh – sorry……for hurting….you……..it was a joke……. Laksh makes ragini stand………then stands infront of her……….he holds her hand……….and takes out a diamond ring from his pocket……..
Laksh- ragini……..will you become my better half……….will you become ragini laksh khanna from ragini gadodia……….will you marry me……ragini……..
Raglak marriage……happens……and they both lives happily……forever……ragini laksh forever………. this was a surprise treat.thank you so much for writing raglak os. laksh ignoring ragini after coming back from abroad was painful.laksh seeing ragini in the rain was beautiful. laksh wooing ragini through gifts was cute.ragini purposefully getting hurt to bring laksh to her was touchy.laksh caring her…raglak union was emotional. surprising that laksh ignoring her was only a prank.nice birthday surprise. laksh proposing her with a ring…hug n dance were romantic. happy to see raglak married.surprised to see mehriya as laksh’s bro bhabhi.special appreciation for finding out perfect pics. The best thing was the surprise that laksh gave her on her birthday… Lovvvvvvved it..